Hope everyone is having a happy week so far. Baby Brenna is sporting a pretty pink flower for spring! Can you believe she is almost four months old already! Isn't she a little sweetie?! She's sorta winking at you to say, "Hang in there---it's almost the weekend!" 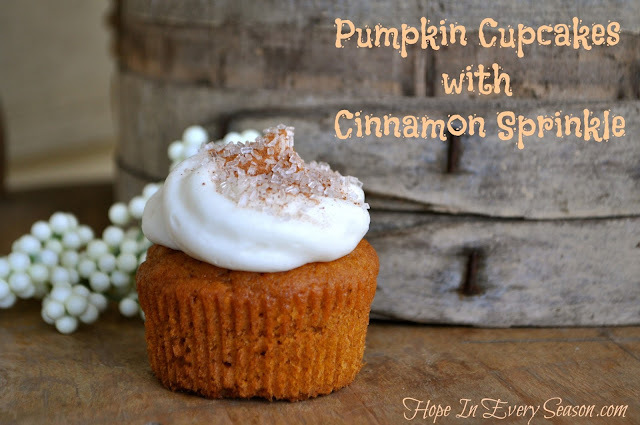 This week I shared my Pumpkin Cupcakes with Cinnamon Sprinkle at our Make Bake Create party. Check it out if you've not already. 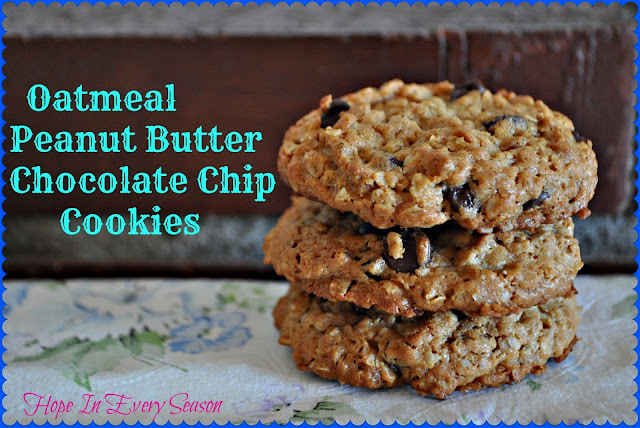 Our family loves these Oatmeal Peanut Butter Chocolate Chip Cookies! Three great cookies--all in one! What could be better? Mix ingredients down through the eggs. Stir in oats and baking soda. Stir in chocolate chips. Bake at 350 for 12-15 minutes. 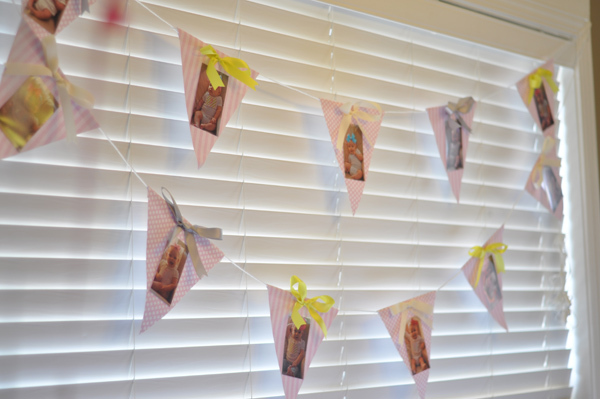 Leslie from Lamberts Lately shared the fun and prettiness of her little girl's first birthday. I especially love this banner she made with each month of little Emma Ramey's first year featured on it's own piece. How sweet! 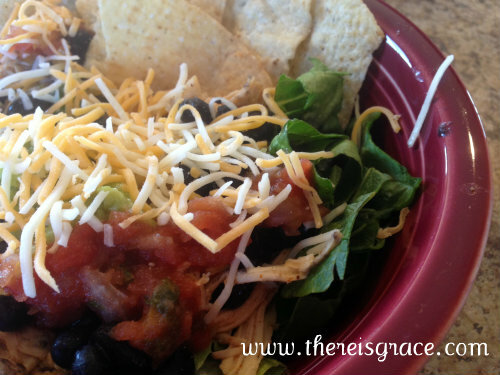 Nancy at There is Grace gave us the recipe for her easy Chicken Tacos, which utilizes the crock pot! Yum! 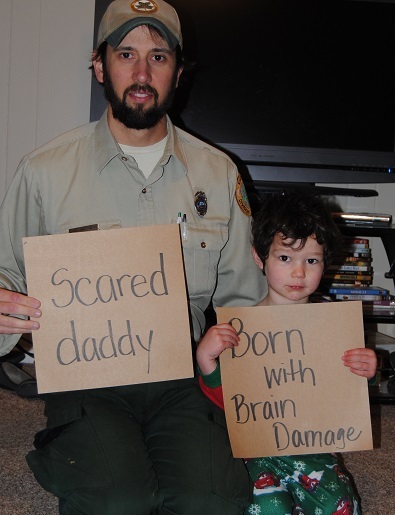 Are you familiar with Cardboard Testimonies? You have got to read this amazing story of God's miraculous healing in Crystal's family! 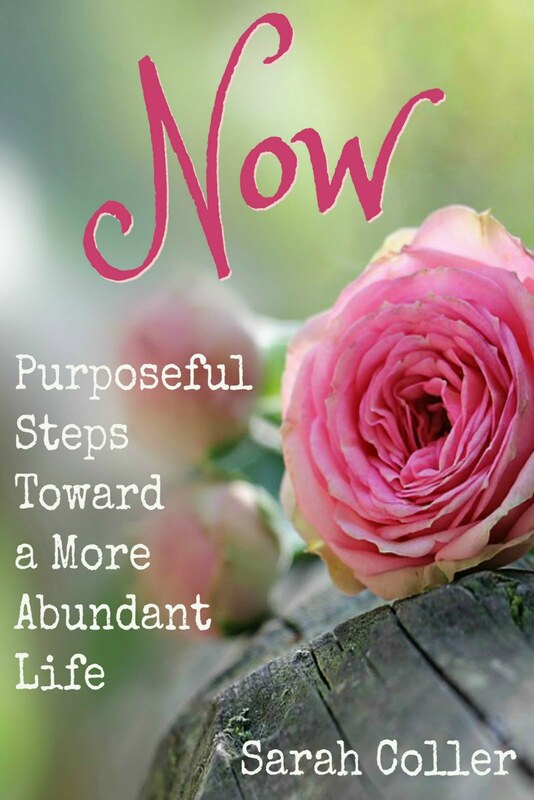 Crystal blogs at Serving Joyfully. Hi Sarah, I am new to your party, but I am happy to take part in it. By mistake I linked my new post on a wrong date and I am sorry about it! Since April is the Daffodil Month in Canada, I am sharing the Daffodil Tea I've prepared for family and friends. Thank you for having me! Hi Sarah, Your baby is precious, love her bonnet. Great features and thanks so much for hosting. yay ! you've got your new blog sorted! Thanks so much for hosting!! Baby Brenna is such a cute and what an attractive couple both you and your hubby make!! I love the color of your hair too!! Thank you so much for the lovely link party!! Baby Brenna is so sweet. What a sweet picture of the three of you! I love her baby bonnet, too adorable! I love your new button too. Looks like some great cookies here! Thanks for sharing with "Ope House"! Sarah...what a sweet picture! Thank you for hosting the link up. Have a blessed weekend. Thanks for hosting. Great party. Hi Sarah..I am visiting from Pink Saturday. Thank you for the recipe..sounds delicious. The baby is so adorable!! thanks for commenting. 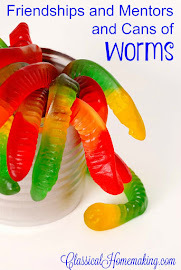 great recipe, simple and tasty. That is such a sweet shot of the little one. All your eats would be great, but I do not cook much just for me. Baby Brenna is adorable and I am looking forward to trying those cookies! Baby Brenna is adorable! Your cookies (and cupcakes) look delicious. Have a wonderful weekend. Thanks for the lovely party and the picture of you, your husband and daughter is precious! Those recipes look delicious! And your daughter is so cute. 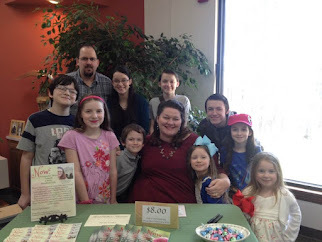 :) I found you on the Mommy Mondays blog party. I'm also hosting a linky for moms: http://www.thekoalabearwriter.com/2013/04/baby-safety-gates-write-mama-blog-hop.html. Hi Sarah, this cookie recipe is so easy, it could only mean trouble for me. We are your newest followers, would love for you to join us. Wow, those cookies look amazing! Just found your party and following/linking up for the first time. Thanks for hosting! Hi! 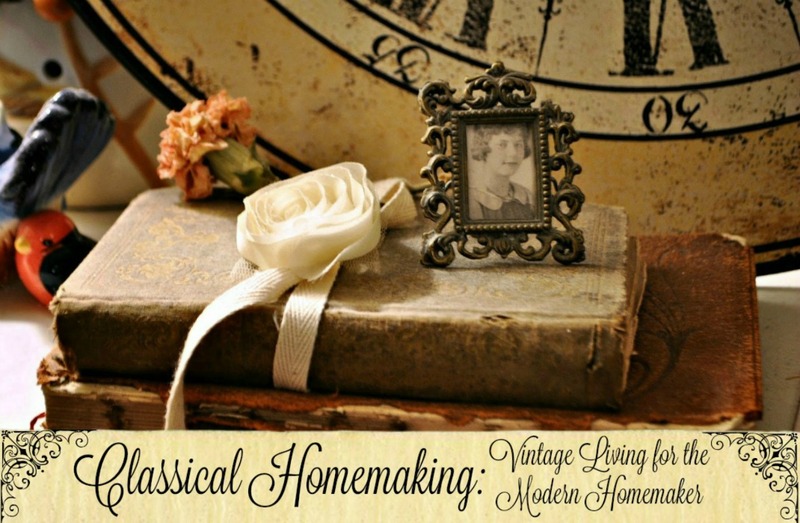 Thank you so much for linking up at the bloglovin' hop! So excited to find your awesome blog. New bloglovin and GFC follower. Hi Sarah, the cookies sound yummy. And I want to try those chicken tacos. Pinning both. I will be back to read that touching story. Thanks for sharing with SYC. You have a lovely blog! 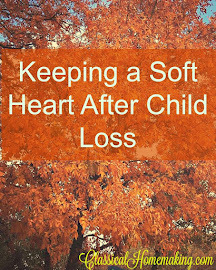 Thank you for hosting this linkup. Mmmm, oatmeal, peanut butter, and chocolate chips. May have to try these cookies. They look delicious! 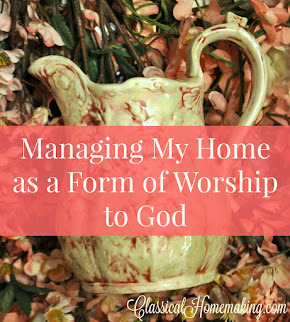 Thanks so much for linking up to Inspire Me Wednesday! I love oatmeal chocolate chip cookies, and now that you've introduced peanut butter to the mix, I am now in trouble! HA! YUM!!!! !